Continuing to shine the spotlight on one of Southeast Asia’s most exciting art landscapes, Art Fair Philippines will once again transform The Link carpark in Makati City into a multi-level art exhibition venue from February 22 to 24. One highlight of the fair, ARTFAIRPH/PROJECTS, will showcase work commissioned especially for the fair from artists who have made an impact both critically and commercially. David Medalla, one of the most internationally recognized Filipino artists, will stage a new iteration of A Stitch in Time. Conceptualized in 1968, this is the first of the artist’s critically lauded participatory works of art. It allows viewers a chance to collaborate in the piece by sewing a trace of themselves onto a huge swathe of canvas that will hang at the fair’s central exhibit space. A Stitch in Time has traveled the world, most notably to the 2017 Venice Biennale. Also part of ArtFairPH/Projects is the 1974 award-winning installation by legendary CCP curator Ray Albano (1947-1985) Step on the Sand and Make Footprints. While better known as the director of the Cultural Center of the Philippines from 1979 until his death in 1985, Albano’s own innovative work still exerts influence on the practice of conceptual art in the Philippines to this day. This section will also feature prints and drawings by Mauro Malang Santos (1928-2017). For this exhibition, Malang’s son and accomplished artist Soler Santos has chosen works depicting Malang’s Women from the family’s private collection. The fair will also have an exhibit of the works of Colombian figurative artist and sculptor Fernando Botero. He is known for “Boterismo,” his signature style that depicts figures and objects in exaggerated proportions. Liv Vinluan is this year’s recipient of the Karen H. Montinola Selection, a grant given by the family in memory of a collector who championed works of emerging artists. Vinluan‘s work is called Nung Gamabalain Yung Sayawan/The Disruption of Dance. Other artists for ArtFair/PH Projects are Ryan Villamael (Behold a City), Oca Villamiel (Cheap Medicine), Ian Fabro (Inferno, Purgatorio, Paradiso), Christina Quisumbing Ramilo (Forest for the Trees), Olivia d’Aboville (Everything, Everywhere, Everyone), and MM Yu (Subject/Object). This year, 36 of the leading galleries in the Philippines will be joined by 16 international galleries from Japan, Hong Kong, Singapore, Vietnam and Taiwan to showcase curated exhibitions from local and foreign visual artists. 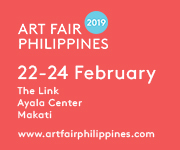 The participating galleries in Art Fair Philippines 2019 are: 1335MABINI, Asian Cultural Council/León Gallery, Affinity Art, Altro Mondo Arte Contemporanea, Archivo 1984, Art Cube, Art Underground, Art Verite, Artemis Art, Artery Art Space, Artinformal, Avellana Art Gallery, Blanc, Botero in Asia, Boston Art Gallery, CANVAS, CLEAR Gallery Tokyo, District Gallery, Edouard Malingue Gallery, Eskinita Art Gallery, Finale Art File, Gajah Gallery, Galerie Roberto, Galerie Stephanie, Galleria Duemila, Gallery Kogure, Gallery Orange, J Studio, Kaida Contemporary, Kobayashi Gallery, La Lanta Fine Arts, Mind Set Art Center, MO_Space, Nunu Fine Art, Paseo Art Gallery, PINTÔ ART GALLERY, Salcedo Auctions, Secret Fresh, Shukado, Silverlens, Soka Art, TAKSU, The Crucible, The Drawing Room, Tin-aw gallery, Underground, Vin Gallery, Vinyl on Vinyl, West Gallery, Yavuz Gallery, YOD Gallery, and Ysobel Art Gallery. Ingrained in the mission of Art Fair Philippines is the expansion of audiences for art. To this end, ArtFairPH/Talks provides fair visitors opportunities to deepen one’s exposure even more to various topics that will enhance art appreciation. This year, the fair, in partnership with National Bookstore, is proud to welcome art historian Kathy Galitz from the Metropolitan Museum of Art in New York. A specialist on late eighteenth- and nineteenth-century French art, Galitz launched her book, Masterpiece Paintings at The Metropolitan Museum of Art, which celebrates the most important works and the most iconic paintings in The Met collection. She will share her extensive knowledge and insights with local art enthusiasts and her book will be available at the fair. Fairgoers can also expect the fair to continue to focus on photography via the ArtFairPH/Photo section. Launched in 2018, ArtFairPH/Photo aims to boost support for photography as contemporary art and expand its collectability among Filipinos. Also complementing the fair is the 10 Days of Art initiative, a series of events around the Makati Central Business District that will involve galleries, museums, bars, restaurants, and retail establishments in celebrating art beyond the venue of the fair. 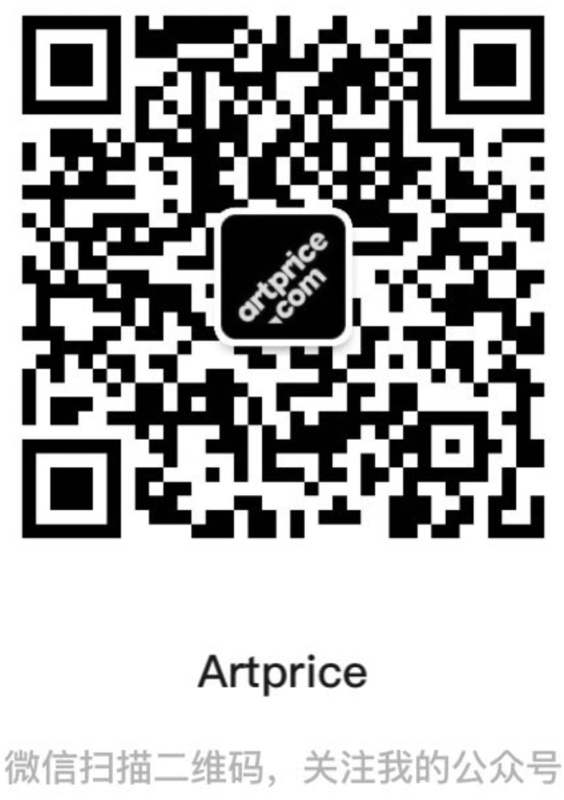 For schedule and updates, visit www.10daysofart.com. Tickets for the fair can be purchased in advance at www.artfairphilippines.com. For more information, please visit the Art Fair Philippines website and follow Art Fair Philippines on Instagram (@artfairph) and Facebook (www.facebook.com/artfairph). Premier, Make It Makati, and Don Papa. Its official hotel partners are Fairmont and Raffles Makati, and Holiday Inn and Suites.